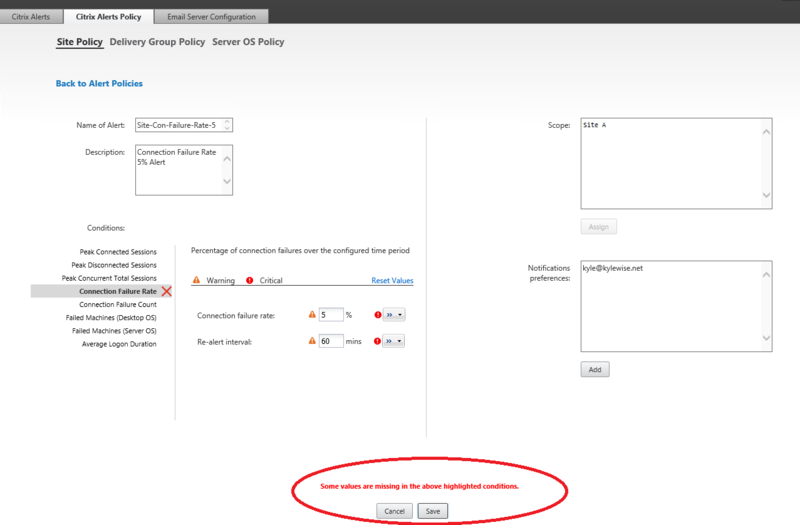 When attempting to create a Citrix Director 7.7 Site and Delivery Group Alert Policies for Connection Failure Rate the following error is displayed after clicking the save button and no Citrix Alert is created. 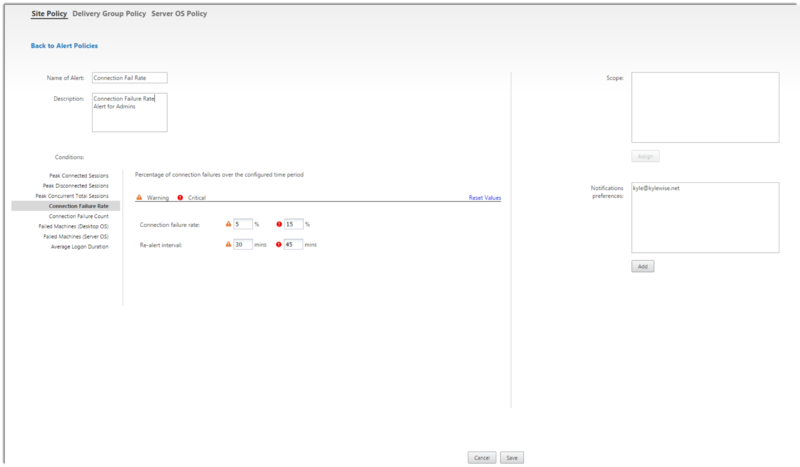 Critical Alert drop down menus for Citrix Director Connection Failure Rate don’t appear to be working correctly with any major web browsers. (IE, Chrome, FireFox). I’m still working on trying to figure out why this is occurring. “Some values are missing in the above highlighted conditions”. To correct this issue, change your monitor resolution to 1366×1024 or higher. Citrix recommends a screen resolution for viewing Director be set to 1366×1024 or higher. The 1366 minimum width setting will give the user a better display in localization and charts. After changing the resolution on your monitors, the critical alert fields appear correctly.